Cold Creek is a place with a dark history, especially for the Lockwoods. Now adults, the three Lockwood sisters are still recovering from the events that led to the destruction of their family when they were children. Determined to move forward, Tess and Kate are making fresh starts, ready to put bad—even deadly—memories to rest and settle happily in the small but booming town. And they’re hoping their older sister, Charlene, can do the same. Char is back in town seeking comfort as she figures out her next move. A social worker used to difficult situations, she soon runs afoul of some locals who think she’s sticking her nose where it doesn’t belong. She’s certain something sinister is being covered up, and when she witnesses Matt Rowan being run off the road, she knows she’s right. Working together, Matt and Char figure uncovering the truth will be dangerous, but living in Cold Creek won’t be safe for any of them until its secrets are revealed. “Harper, a master of suspense, keeps readers guessing about crime and love until the very end.” —Booklist, starred review on Fall from Pride. “Masterfully drawing the reader in, Harper has delivered the best, once again.” —Suspense Magazine on Upon a Winter’s Night. 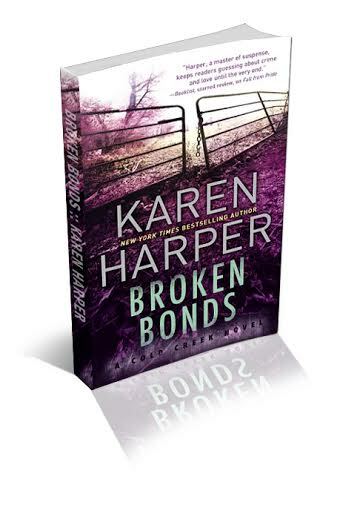 Karen Harris is giving away 10 sets of the Cold Creek Trilogy! A New York Times and USA Today bestselling author, Karen Harper is a former college English instructor (The Ohio State University) and high school literature and writing teacher. A lifelong Ohioan, Karen and her husband Don divide their time between the midwest and the southeast, both locations she has used in her books. Besides her American settings, Karen loves the British Isles, where her Scottish and English roots run deep, and where she has set many of her historical Tudor-era mysteries and her historical novels about real and dynamic British women. 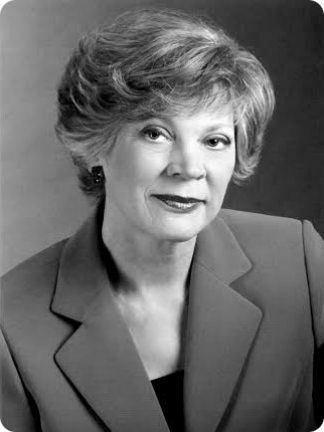 Karen’s books have been published in many foreign languages and she won the Mary Higgins Clark Award for 2005. Karen has given numerous talks to readers and writers across the county. Her latest book is the romantic suspense, Broken Bonds, the third book in the Cold Creek Trilogy. Connect with Karen on Facebook.